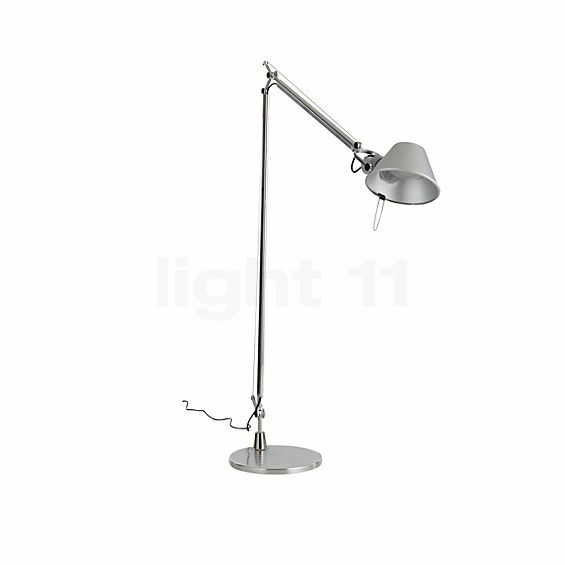 Artemide Tolomeo Lettura LED uses clever design. For timeless elegance and innovative technology, the Artemide Tolomeo Lettura LED cleverly combines style and function for a superb reading light. The Tolomeo is equipped with extremely efficient LEDs that are concealed behind a plastic diffuser. An LED module on the top side of the shade supplies soft mood lighting upwards. 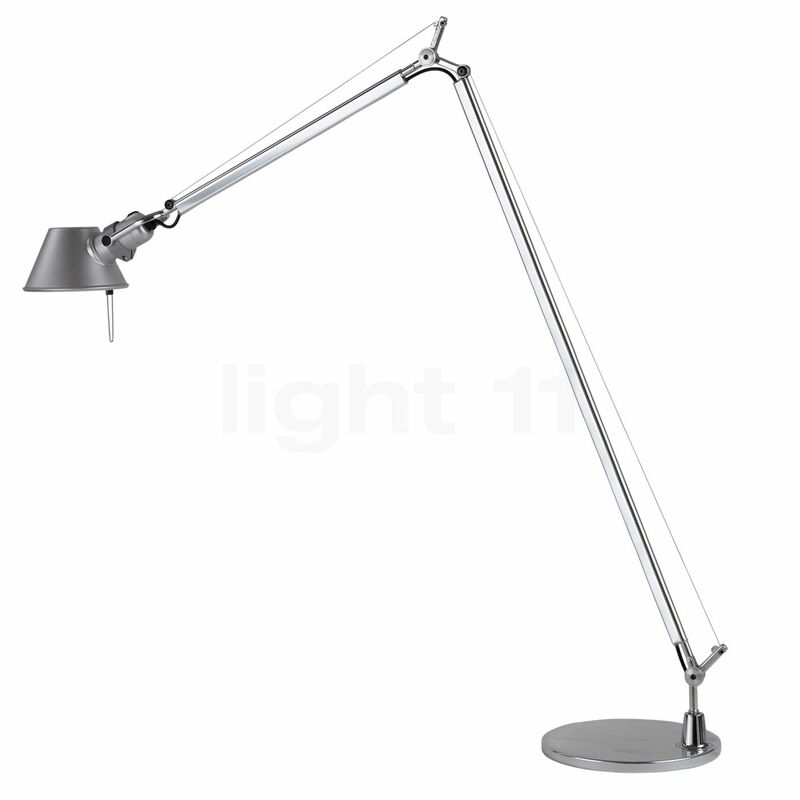 The Artemide Tolomeo Lettura LED is a new innovation on a classic design. With an elegant and minimal form, the Tolomeo LED is the perfect contemporary lighting piece for illumination. By utilising LED technology, the Artemide Tolomeo Lettura LED is very energy efficient and is also dimmable, allowing the user to personally adjust the intensity of the light. What's more, these settings are saved even after the Artemide Tolomeo Lettura LED is switched off, meaning that readjustment is unnecessary when Tolomeo is switched back on. With gas pressure springs, this reading lamp can be adjusted to any position for ultimate flexibility and functionality. Artemide Tolomeo Lettura LED is at home in many different situations. For example, it can be a versatile reading light in the library or the living room near chairs and sofas, allowing the user to direct the light wherever it is needed. Because Artemide Tolomeo Lettura LED also allows the user to adjust the brightness via a dimmer switch, this light can double as a reading light or as soft accent lighting. Additionally, Artemide Tolomeo Lettura LED can be used in the office to illuminate the desk area, providing a crisp and customisable light for the task at hand. This versatile LED lamp was designed by Michele De Lucchi for Artemide, producer of fine lighting. The Artemide Tolomeo Lettura LED can now be found in high-style spaces worldwide. Ved valg af standerlampe var der en række kriterier, jeg ønskede opfyldt: •	Den skulle være LED baseret (lavt energiforbrug). •	Lysstyrken skulle kunne reguleres trinløst, og det skulle være muligt at opnå en kraftig lysstyrke. •	Lampen skulle kunne indstilles i alle retninger. •	Den skulle have en passende tung fod, så den stod stabilt. Alle disse krav fik jeg opfyldt ved at vælge Artemide Tolomeo Lettura LED. - Tilmed sparede jeg Dkr. 561 ved at handle hos light 11.dk, og jeg opnåede en væsentlig hurtigere levering, end hos en af konkurrenterne. Skulle jeg blive den heldige, der vinder rabatkuponen, er jeg ikke i tvivl om, at den skal anvendes til at købe den tilsvarende skrivebordslampe. Fortæl andre kunder om os og om dine erfaringer med Tolomeo Lettura LED !